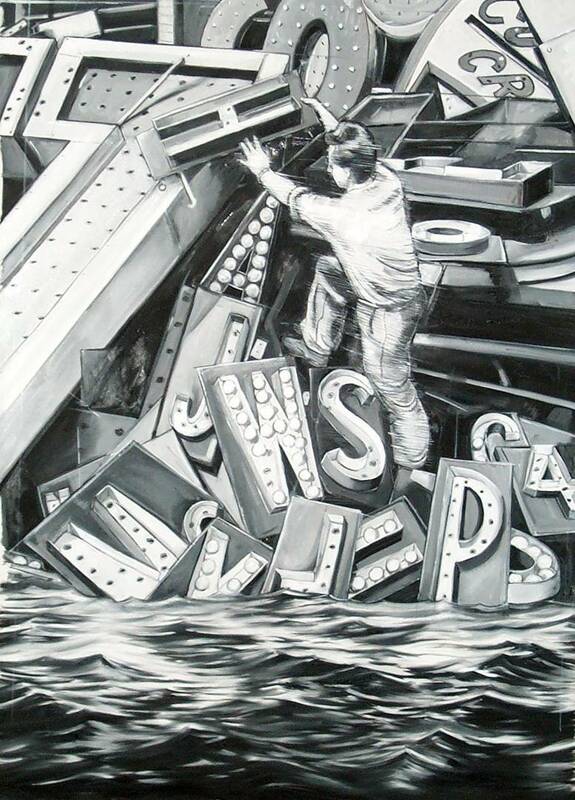 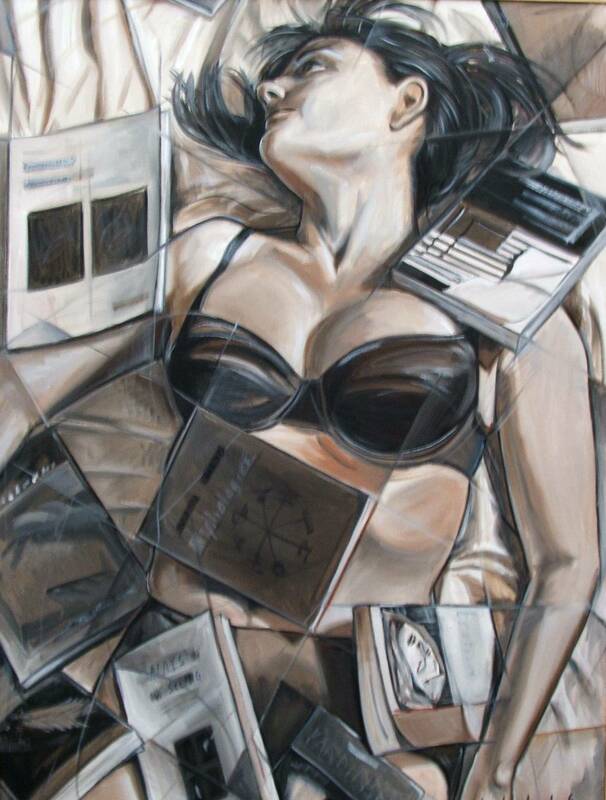 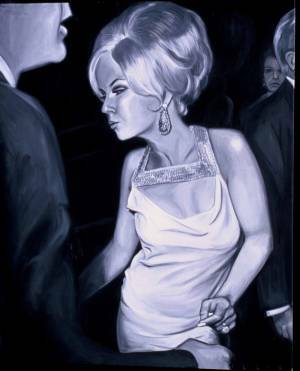 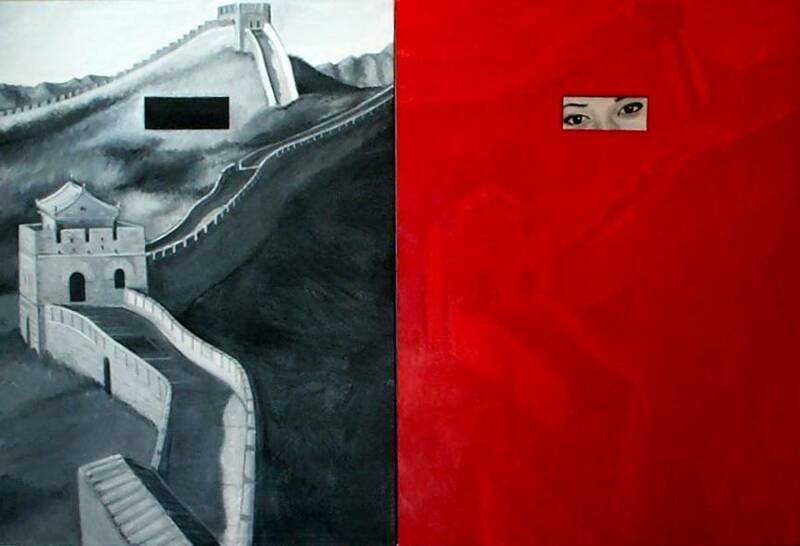 2005, oil on canvas, 40×60″ diptych. 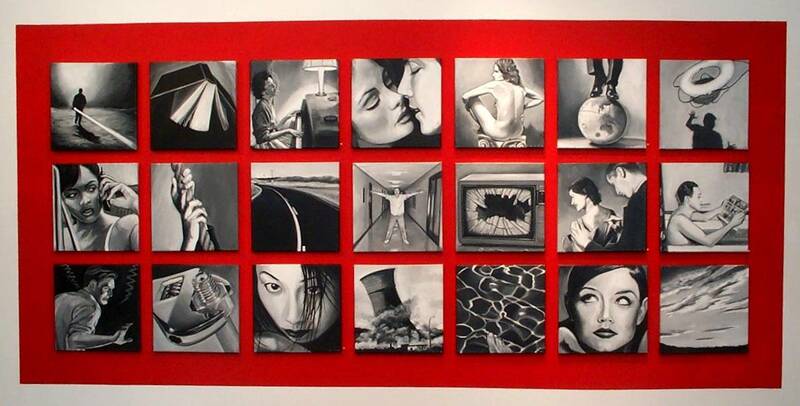 Installation of 21 14″ square oil paintings. 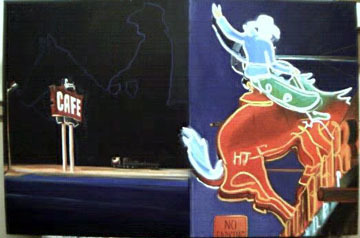 Spark Gallery, Denver CO, 2005. 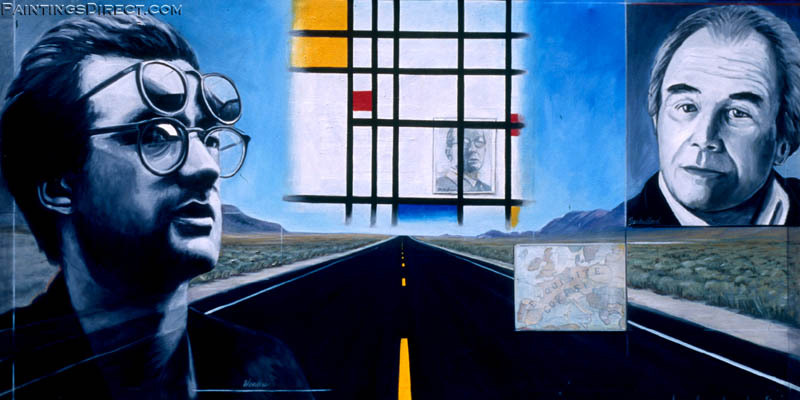 2001, oil on canvas, 32×62″.